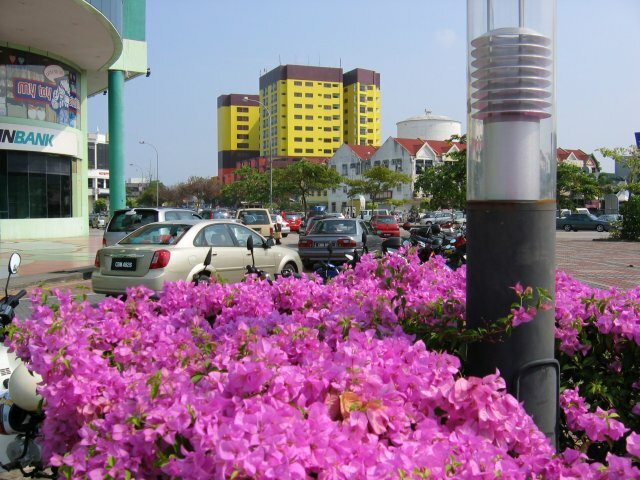 Kuantan which is became Pahang�s capital in 1955 is a fast-growing commercial centre in the East Coast of Peninsular Malaysia. It lies on the east cost and has a population of about 1,4 million people. 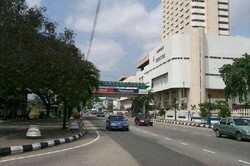 Kuantan has a population approaching 400,000 people. 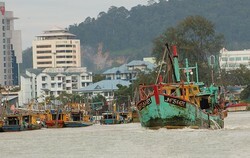 Kuantan is situated on the banks of the Kuantan river mouth. In Kuantan, you are able to experience the River Cruise whilst enjoying the picturesque Kuantan along the river and discover the beauty of the man-made 250 meters boardwalk (nr 4) to see the mangrove jungle. 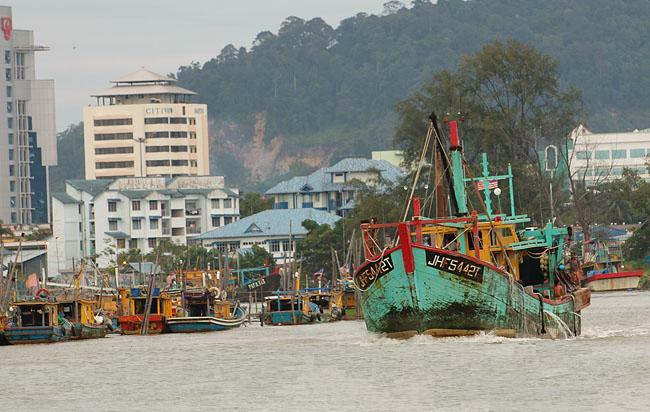 The jetty of the river cruise in Kuantan departs from nr. 1 But you can start with your river cruise at the other five points at the map. Also made available for you is to have a closer and at your own pace look at Kuantan town is by TRISHAW. The Tourist Information Centre (daily 9am�1pm & 2�5pm; tel 09/516 1007) is at the end of Jalan Makhota. The Tourist Office facing the playing fields. They can help you out with accommodation in and around Kuantan, and also organizes day-trips to the surrounding area, like lake Chini, the Royal city of Pekan and the Gua Charah caves. 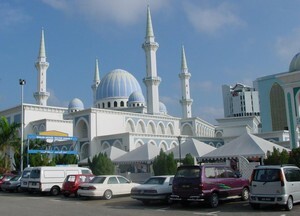 The State Mosque has a distinct dome and its minarets are in a pastel shade of sky blue and mint green. The State Mosque stands regal as the most prominent structure in the capital. The colonial-styled Courthouse adds a lovely contrast to the many buildings that have sprouted up. Old Kuantan, however, is not lost amongst recent developments. Take a walk down Jalan Besar, and you are likely to savor the pungent aroma of the salted fish and keropok (fish crackers), which is the state's famous delicacy. In Jalan Tanah Puteh is a Hindu temple and there are two Chinese temples: one in Jalan Bukit Setongkol and one in Jalan Bukit Ubi. Tourists will get a close-up view of the practice of these two faiths by the city's Hindu and Buddhist communities. 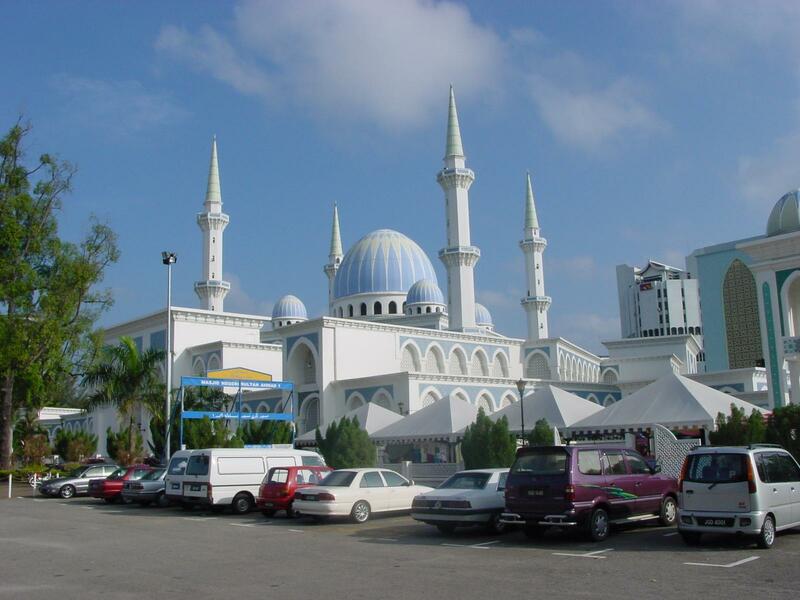 The hawker stalls near the mosque on Jalan Makhota behind the Ocean Shopping Complex on Jalan Tun Ismail are the best bet. You can have a nice walk down Jalan Besar, sampling local delicacies sold on the street and shopping in the smaller craft and souvenir shops. For good selections of batiks and crafts you must visit HM Batik & Handicraft and Kedai Mat Jais B. Talib in the Jalan Besar. Batik RM has a showroom on Jalan Besar, but the showroom out on Jalan Tanah Puteh is much more fun. In Kuantan, the modern Teruntum Complex, Berjaya Megamall and Kuantan Parade offers great shopping in air-conditioned comfort. They offer a tempting array of bewitching items, which you may not find elsewhere. Beside cinemas, bowling valley, fast food restaurants and other facilities are made available. Shopping in comfort, style and convenience are some of the keyword that will please you. There are two bus terminals. 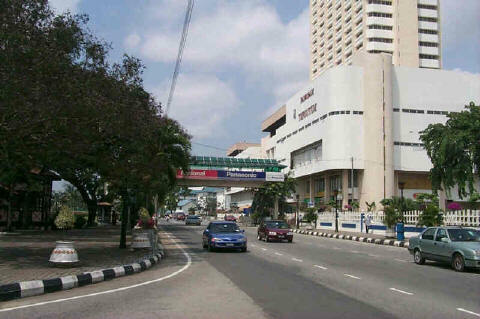 The local bus station is on Jalan Basar, beside Sungei Kuantan, and the Makmur express bus terminal is on Jalan Stadium, in front of the Darulmakmur stadium. Bus routes service Kuantan from all parts of the peninsula. From Kuala Lumpur, Plusliner (tel. 03/4042-1256) departs from the Pekeliling Bus Terminal in the Jalan Tun Razak. 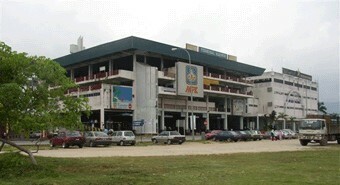 The bus terminal in Kuantan is in Kompleks Makmur. Taxis at the stand just outside the terminal can take you to the city.